Let me ask you a simple question: Are you free? You probably think, “Of course, I’m an American!” Or you may believe you are free because you have been forgiven, washed, redeemed, made holy by Jesus, and you live for Him. If that is your testimony, that is good, but here’s a follow-up question: Would your friends, your spouse, or your children say you’ve been set free, or are you like multitudes of Christians whose walk with Christ is continually up and down, seemingly spiritual one moment and carnal the next? By faith, we accept the great theological truths about Jesus’ work for us — salvation, redemption, sanctification, deliverance, and justification. We sing and rejoice at church each week over what Jesus has done for us, but is His gift of freedom a reality in our daily lives? Rom 8:1-4 There is therefore now no condemnation for those who are in Christ Jesus. 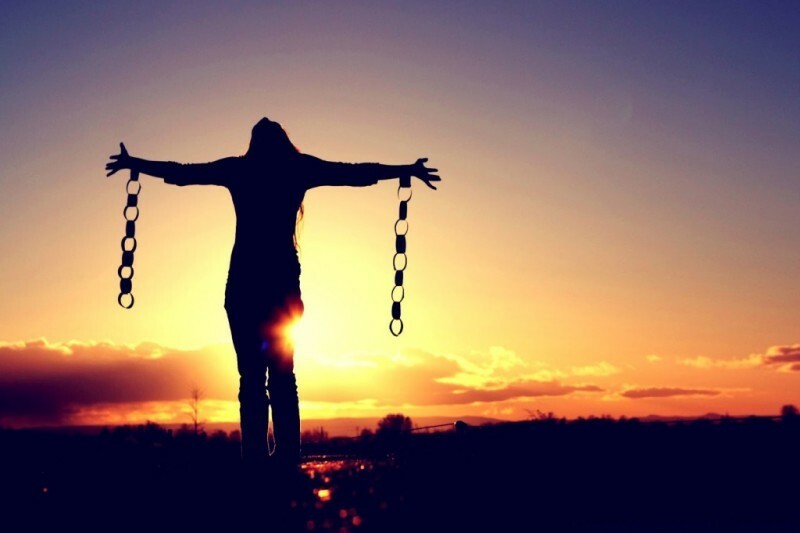 For the law of the Spirit of life has set you free in Christ Jesus from the law of sin and death. For God has done what the law, weakened by the flesh, could not do. By sending his own Son in the likeness of sinful flesh and for sin, he condemned sin in the flesh, in order that the righteous requirement of the law might be fulfilled in us, who walk not according to the flesh but according to the Spirit. We just read, “There is therefore now no condemnation for those who are in Christ Jesus.” Does this mean, “There is therefore now, no failure for those who are in Christ Jesus?” No. Does it mean, “There is therefore now, no struggle for those who are in Christ Jesus?” No. Is it saying, “There is therefore now, no stumbling for those who are in Christ Jesus?” No. Neither does it say, “There is therefore now no cause for condemnation.” That wouldn’t be true. We fail. We stumble. We fall. We sin. This Scripture is not saying there is no cause for condemnation in us because if God were to judge us moment by moment, He’d find plenty of cause for condemnation in us. Condemnation has to do with guilt and punishment; in this case, Hell. So what is it saying? It is saying, there is, therefore now, no condemnation, no punishment, no coming into judgment, no Hell for the ones in Christ Jesus, who believe in Him, follow Him, and have the Holy Spirit in them. Do you understand the significance of that? We may stumble, we may fall, we may trip, we may make a thousand mistakes, we may sin and we do. We may get off the path, we may go astray, we may have a thousand problems, but for the believer in Jesus Christ, there is no condemnation because God has said it is so! You can struggle, but you’re not condemned. You can fall, but you’re not condemned. You can trip, but you’re not condemned. You can stray off the path, but you are not condemned, because God has said He will not condemn those who are in Christ Jesus. He will discipline us because He loves us and we are His children, but He will not condemn us! 2 Corinthians 5:17 Therefore, if anyone is in Christ, he is a new creation. The old has passed away; the new has come. It doesn’t matter how broken down and teetering we feel about our walk with Christ; He declares, “We are a new creation.” The moment we chose to give our lives to Jesus and be baptized, He made us new — and that never changes. Jesus will present us before the throne of the Father with His righteousness, not our own righteousness. All glory unto Him! Jude 24 To him who is able to keep you from falling and to present you before his glorious presence without fault and with great joy, to the only God, our Savior, be glory, majesty, power, and authority, through Jesus Christ our Lord, before all ages, now and forever. Amen. When we sin, Jesus doesn’t abandon us. He intercedes for us, going to the Father as our advocate against Satan, the accuser of the brethren, and sending the Holy Spirit to correct us and remind us of His grace — a grace based on His shed blood, not our performance. Yes, the Holy Spirit convicts us of sin and we need to repent. But He does not condemn us. God’s grace is more powerful than any demon; more powerful than our sinful nature, and more powerful than any mountain of guilt. So we are at rest in Jesus Christ and His atonement — not in our righteousness! We don’t have to get saved over and over, because the Holy Spirit is always at work convicting, washing, and cleansing us. His godly work in us never stops, even when we stop being godly and the joy of our salvation leaves! The joy of our salvation will return when we repent and obey. This amazing grace is hard to grasp in the frustrating course of our daily lives. That’s why we’re prone to doubt His presence abides in us. Instead, we sense we’re in a constant battle with the world, the devil, and our sinful nature. Therefore, in our struggles, there is no condemnation. In our failure, there is no condemnation. In our tribulation, there is no condemnation. Condemnation is from the devil. Conviction is from the Holy Spirit and He brings correction to us, not condemnation! Furthermore, there is no rejection for those in Christ. God is not going to reject us just because we fail. So what do we do when we fail? Sometimes we commit the same sin over and over again. What then? We repent! By God’s grace, our eyes are opened to see what we have done, we change our minds, we stop making excuses, we confess to God and to others, we seek God’s help, we ask others to help us, and we ask God to help us as we move forward. It’s hard for us to believe that God really loves us; especially when we hear a voice saying, “There is plenty of condemnation for you, buster!” That is the devil whispering. That is not what God says. God says, “There is now no condemnation for those who are in Christ Jesus.” Are we willing to believe what God has said or are we going to believe the devil? Secondly, there’s no punishment. There’s discipline and there’s correction, which may be very painful, but there’s no harsh, eternal punishment in Hell. Hebrews 12:4-11 In your struggle against sin you have not yet resisted to the point of shedding your blood. And have you forgotten the exhortation that addresses you as sons? “My son, do not regard lightly the discipline of the Lord, nor be weary when reproved by him. For the Lord disciplines the one he loves, and chastises every son whom he receives.” It is for discipline that you have to endure. God is treating you as sons. For what son is there whom his father does not discipline? If you are left without discipline, in which all have participated, then you are illegitimate children and not sons. Besides this, we have had earthly fathers who disciplined us and we respected them. Shall we not much more be subject to the Father of spirits and live? For they disciplined us for a short time as it seemed best to them, but he disciplines us for our good, that we may share his holiness. For the moment all discipline seems painful rather than pleasant, but later it yields the peaceful fruit of righteousness to those who have been trained by it. God’s thoughts toward us are thoughts of love. Even when He must discipline us severely, He does it for our own good. His chastising is for our ultimate benefit. God gives us grace to repent. He tells us where we went wrong, and He puts us back in the Way of Jesus Christ. That’s loving discipline, not condemnation. Therefore, there is now no condemnation for those who are in Christ Jesus. I can’t think of a better, more encouraging spiritual truth that I could share with you. For those who are in Christ Jesus, now, today, not tomorrow, not next week, not next year, but NOW, there is no condemnation. You may fail, you may sin, but you are not going to Hell if you remain in Christ Jesus! So, what is on our to-do list to be righteous, you may wonder? Nothing. We are to work out our salvation with fear and trembling, but we do so in freedom — because the righteous requirement of the law has been fulfilled by Jesus on the cross. Nothing is required anymore for our righteousness. We have been given the righteousness of Christ when we gave our life to Him. Jesus has met all our requirements for being justified, holy, and righteous. Furthermore, Jesus has filled us with His own Spirit so we have power to crucify our sinful nature and follow His Spirit without the law. Galatians 5:16-25 But I say, walk by the Spirit, and you will not gratify the desires of the flesh. For the desires of the flesh are against the Spirit, and the desires of the Spirit are against the flesh, for these are opposed to each other, to keep you from doing the things you want to do. But if you are led by the Spirit, you are not under the law. Now the works of the flesh are evident: sexual immorality, impurity, sensuality, idolatry, sorcery, enmity, strife, jealousy, fits of anger, rivalries, dissensions, divisions, envy, drunkenness, orgies, and things like these. I warn you, as I warned you before, that those who do such things will not inherit the kingdom of God. But the fruit of the Spirit is love, joy, peace, patience, kindness, goodness, faithfulness, gentleness, self-control; against such things there is no law. And those who belong to Christ Jesus have crucified the flesh with its passions and desires. If we live by the Spirit, let us also keep in step with the Spirit. When we “walk in the Spirit,” we walk under grace, not the law. As we obey the Spirit, the fruit of the Spirit is produced in our life: But the fruit of the Spirit is love, joy, peace, patience, kindness, goodness, faithfulness, gentleness, self-control; against such things there is no law. Take note: These things don’t come about because of what we do. They are the fruit of the righteousness God has put in us — the result of the Holy Spirit in us. You may not feel very loving at times, but love is in you if God is in you. You may not feel joy and peace, but God has implanted both deep within you. His Spirit is at work in you every hour of every day, to His great glory and to your deep blessing. So yield to His Spirit and crucify your flesh with its passions and desires. We are free. We no longer have to sin. No longer is our life “just the way we are”. We are free to walk in the Spirit. We do not have to obey our sin nature. Our relationship with God is not based on how well we keep the law. It is based on Jesus Christ, God’s love for us, and our love for Him. And if we love Him, guess what—we will keep His commandments. Our walk in the Spirit is like a toddler learning to walk. We do not condemn toddlers when they fall. Instead, we encourage them to get up and keep trying. We comfort them when they are hurt or afraid. Likewise, our Father does not condemn us when we fall. He encourages us, comforts us, and teaches us why we fell and how to walk more closely with Him. If you have fallen in your walk with Jesus. Repent and get back up. As long as you stay in the war against sin and the devil, you are free—you are not a captive of the enemy. You are God’s child and there is now no condemnation. Rebuke the enemy and remind him of your status in Christ and of his future in hell! However, if you are not in Christ Jesus, I have bad news. You are condemned. You have a death sentence and a future in Hell. However, you can be set free today if you will believe in Jesus Christ as the Son of God, repent of your sin, and give your life to Him in baptism. Jesus will set you free and give you a new life, born of the Holy Spirit. The blood of Christ has atoned for your sin and you will be free to live by the Spirit of God instead of the devil and your sinful nature.